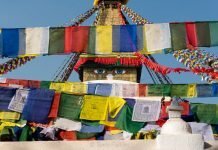 Have you ever considered combined trekking and volunteering in Nepal? I joined Classrooms In the Clouds on a 11 day trek along the old Everest Base Camp trekking route. I had the adventure of a trek in Nepal and the opportunity to work with an NGO at the same time. Read my account here: Volunteering with Classrooms In the Clouds on the blog Third Eye Mom. 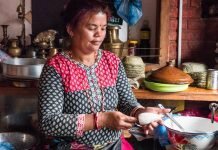 Third Eye Mom promotes cross-cultural understanding through international volunteerism and goodwill and works to make a difference for people with few opportunities in education, women’s rights and health. Classrooms In the Clouds is an NGO providing affordable, accessible and sustainable education to the children of Nepal.